Products grown only in one locality or presented in that locality-specific manner constitute the essential components of gastronomic identity. In this research it is aimed to make the assessment for the determination of Ottoman Strawberry as a gastronomic identity. Qualitative research method was applied in the research. Semi-structured interview technique is used as a qualitative data collection tool. Descriptive analyzes of the data obtained from 22 participants were performed. As a result of analysis, it was determined that the Ottoman Strawberry, which is specific to the Ereğli in Black Sea has been cultivated for 100 years in the region and it is different from other strawberry types with its gentle structure, small and medium sized fruit, flattened sphere image, its acnes being buried inside, light pinkish color and flavor. In the light of the data obtained from the research, it was concluded that the Ottoman Strawberry was a product that could create the gastronomic identity of the Black Sea Ereğli. It is thought that the name of the Ottoman Strawberry, which is identified with the Black Sea Ereğli, must be registered and be taken under legal protection with its geographical indication. Aykas, L., Taş, N., Adanacıoğlu, N., Oğur, E. ve Özer, U. (2016). “Ulusal Tohum Gen Bankası”. Anadolu Dergisi (J. of AARI), 26(2): 44-50. Azim Konserve, Osmanlı Çileği, http://www.azimkonserve.com.tr/osmanli-cilegi.html, 22.01.2018 tarihinde web sayfasından alınmıştır. Başat, H. T., Sandıkçı, M. ve Çelik, S. (2017). “Gastronomik Kimlik Oluşturmada Yöresel Ürünlerin Rolü: Ürünlerin Satış ve Pazarlanmasına Yönelik Bir Örnek Olay İncelemesi”. Journal of Tourism and Gastronomy Studies, 5(2): 64-76. Björk, P. ve Kauppinen-Räisänen, H. (2016). “Exploring the Multidimensionality of Travellers' Culinary-Gastronomic Experiences”. Current Issues in Tourism, 19(12): 1260-1280. Boyne, S., Hall, D. ve Williams, F. (2003). “Policy, Support and Promotion for Food-Related Tourism Initiatives: A Marketing Approach to Regional Development”. Journal of Travel & Tourism Marketing, 14(3-4): 131-154. Cohen, E. ve Avieli, N. (2004). “Food in Tourism: Attraction And Impediment”, Annals of Tourism Research, 31(4): 755-778. Çalışkan, O. (2013). “Destinasyon Rekabetçiliği ve Seyahat Motivasyonu Bakımından Gastronomik Kimlik”. Journal of Tourism and Gastronomy Studies 1(2): 39-51. Diker, O. ve Deniz, T. (2017). “Kars Kültürel ve Gastronomik Kimliğinde Kaz”. Doğu Dergisi, 22(38): 189-204. Everett, S. ve Aitchison, C. (2008). “The Role of Food Tourism in Sustaining Regional Identity: A Case Study of Cornwall, South West England”. Journal of Sustainable Tourism, 16(2): 150-167. Everett, S. ve Aitchison, C. (2008). “The Role of Food Tourism in Sustaining Regional Identity: : A Case Study of Cornwall, South West England”. Journal Of Sustainable Tourism, 16(2): 150-167. Fox, R. (2007). “Reinventing The Gastronomic Identity of Croatian Tourist Destinations”. International Journal of Hospitality Management, 26(3): 546-559. Hall, M. ve Mitchell, R. (2000). “We are What We Eat: Food, Tourism And Globalization”. Tourism, Culture and Communication, 2(1): 29-37. Harrington, R. J. ve Ottenbacher, M. C. (2010). “Culinary Tourism-A Case Study of the Gastronomic Capital”. Journal of Culinary Science & Technology, 8(1): 14-32. Harrington, R.J. (2005). “Defining Gastronomic Identity”. Journal of Culinary Science & Technology, 4(2-3): 129-152. Hjalager, A.M. ve Johansen, P.H. (2013). “Food Tourism in Protected Areas- Sustainability for Producers, the Environment and Tourism?”. Journal of Sustainable Tourism, 21(3): 417-433. Horng, J.S. ve Tsai, C.T. (2010). “Goverment Websites for Promoting East Asian Culinary Tourism: A Cross-National Analysis”. Tourism Management, 31(1): 74-85. Horng, J.S. ve Tsai, C.T. (2012). “Culinary Tourism Strategic Development: An Asia-Pacific Perspective”. International Journal of Tourism Research, 14: 40–55. İkinci, Ö.A. (2015). Gelecek İçin Yedekleme: Gen Bankaları, http://www.bilimgenc.tubitak.gov.tr/makale/gelecek-icin-yedekleme-gen-bankalari, 03.01.2018 tarihinde web sayfasından alınmıştır. .Jiménez-Beltrán, F. J., López-Guzmán, T. ve Santa Cruz, F.G. (2016). “Analysis of the Relationship Between Tourism And Food Culture”. Sustainability, 8(5), 418: 1-11. Karim, S A. ve Chi, C.G.Q. (2010). “Culinary Tourism as a Destination Attraction: An Empirical Examination of Destinations' Food Image”. Journal of Hospitality Marketing & Management, 19(6): 531-555. Kdz. Ereğli Belediyesi, Efsaneler Kenti Kdz. Ereğli, http://www.kdzeregli.bel.tr/images/arsiv/dergi/eregli_kultur_TR/html5forpc.html?page=0, 25.01.2017 tarihinde web sayfasından alınmıştır. Kdz. 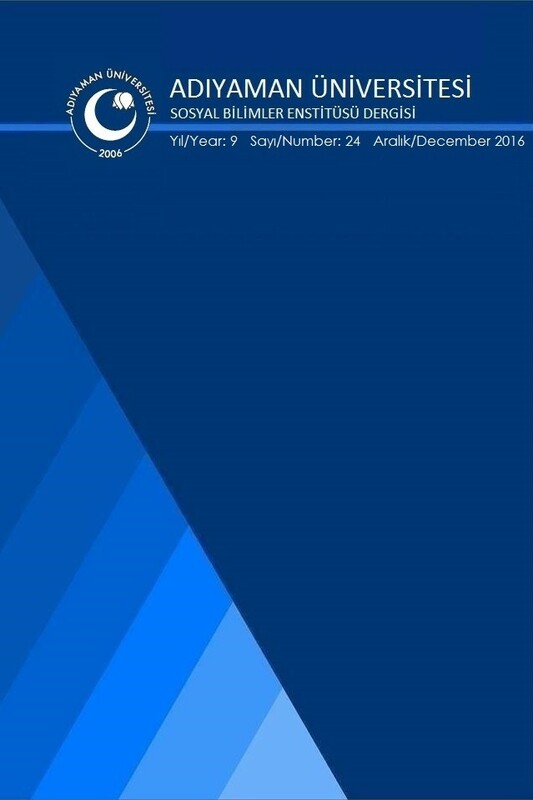 Ereğli Ticaret ve Sanayi Odası, Stratejik Plan 2014-2017, http://ereglitso.org.tr/dokumanlar/ETSO2014-2017.pdf, 26.31.2017 tarihinde web sayfasından alınmıştır. Kivela, J. ve Crotts, J.C. (2005). “Gastronomy Tourism”. Journal of Culinary Science & Technology, 4(2-3): 39-55. López-Guzmán, T. ve Sánchez-Cañizares, S. (2011). “Gastronomy, Tourism and Destination Differentiation: A Case Study in Spain”. Review of Economics & Finance, 63-72, Article ID: 1923-7529-2012-01-63-10. López-Guzmán, T., Hernandez-Mogollon, J.M. ve Dı-Clemente, E. (2014). “Astronomic Tourism As An Engine For Local And Regional Development”. Regional and Sectoral Economic Studies, 14(1): 95-102. Maviş, F. (2003). Endüstriyel Yiyecek Üretimi. Ankara: Detay Yayıncılık. Nebioğlu, O. (2017). “Gastronomik Kimlik ve Gastronomik Turizm Ürünlerinin Sınıflandırılması Üzerine Nitel Bir Araştırma: Alanya Örneği”. Journal of Tourism and Gastronomy Studies, 5(2): 39-60. Okumuş, B., Okumuş, F. ve McKercherc, B. (2007). “Incorporating local and international cuisines in the marketing of tourism destinations: The cases of Hong Kong and Turkey”. Tourism Management 28: 253-261. Ondieki, E.B., Kotut, E.J., Gatobu, C.K. ve Wambari, E.M. (2017). “Gastronomic Identity: Role of the Environment and Culture on Culinary Tourism”. African Journal of Tourism, Hospitality and Leisure Studies, 3(1): 17-21. Özdemir, B. (2013). “Gastronomi Turizmi, Batı Akdeniz Alternatif Turizm Çaliştay Raporu”. Batı Akdeniz Kalkınma Ajansı. Özkaya, F.D. ve Can, A. (2012). “Gastronomi Turizminin Destinasyon Pazarlamasına Etkisi”. Türktarım Dergisi, Temmuz Ağustos, 206: 28-33. Resmi Gazete (2016). Sınai Mülkiyet Kanunu, http://www.resmigazete.gov.tr/eskiler/2017/01/20170110-9.htm, 22.01.2018 tarihinde web sayfasından alınmıştır. Rinaldi, C. (2017). “Food and Gastronomy for Sustainable Place Development: A Multidisciplinary Analysis of Different Theoretical Approaches”. Sustainability, 9(10), 1748: 1-25. Roozbeh, B.H., Ng, S.I. ve Boo, H.C. (2013). “Effect of Food Experience on Overall Satisfaction: Comparison Between First-Time and Repeat Visitors to Malaysia”. International Food Research Journal, 20(1): 141-146. Sánchez-Cañizares, S.M. ve López-Guzmán, T. (2012). “Gastronomy as a Tourism Resource: Profile of The Culinary Tourist”. Current Issues in Tourism, 15(3): 229-245. Sarıışık, M. ve Özbay, G. (2015). “Gastronomi Turizmi Üzerine Bir Literatür İncelemesi”. Anatolia: Turizm Araştırmaları Dergisi, 26(2): 264-278. Sims, R. (2009). “Food, Place and Authenticity: Local Food and The Sustainable Tourism Experience”. Journal of Sustainable Tourism, 17(3): 321-336. Sirše, J. (2014). “Gastronomic Cities: City Strategy On Gastronomy As A Tool For Tourism And Employment Development”. Baseline Study, http://www.urbact.eu/sites/default/files/media/gastronomic_cities_baseline_study_final.pdf, 18.01.2018 tarihinde web sayfasından alınmıştır. Şanlıer, N. (2005). “Yerli ve Yabancı Turistlerin Türk Mutfağı Hakkındaki Görüşleri”. Gazi Eğitim Fakültesi Dergisi, 25(1): 213-227. Tekbalkan, M. (2017). “Yöresel Yemeklerin Bölge Turizmine Katkısı: Samsun Kaz Tiridi Örneği”. Journal of Tourism And Gastronomy Studies, 5(4): 155-169. Tikkanen, I. (2007). "Maslow's Hierarchy And Food Tourism In Finland: Five Cases". British Food Journal, 109(9): 721-734. Türkiye Kültür Portalı, Osmanlı Çileği-Zonguldak, https://www.kulturportali.gov.tr/turkiye/zonguldak/nealinir/osmanli-cilegi, 10.01.2018 tarihinde web sayfasından alınmıştır. TÜRSAB, Gastronomi Turizm Raporu, 2014. https://www.tursab.org.tr/ dosya/12302/tursab-gastronomi-turizmi-raporu_12302_3531549.pdf, 10.01.2018 tarihinde web sayfasından alınmıştır. Wijaya, S., Morrison, A., Nguyen, T.H. ve King, B. (2016). “Exploration of Culinary Tourism in Indonesia: What Do the International Visitors Expect?”. The 12th Biennial Conference of Hospitality and Tourism Industry in Asia (ATF-16): 374-379. Yenipınar, U., Köşker, H. ve Karacaoğlu, S. (2014). “Turizmde Yerel Yiyeceklerin Önemi ve Coğrafi İşaretleme: Van Otlu Peyniri”. Journal Tourism and Gastronomy, 2(2): 13-23. Yıldırım, A. ve Şimşek, H. (2011). Sosyal Bilimlerde Nitel Araştırma Yöntemleri. 8. Tıpkı Basım, Ankara: Seçkin Yayıncılık. Yılmaz, G. (2017). “Gastronomi ve Turizm İlişkisi Üzerine Bir Değerlendirme”. Seyahat ve Otel İşletmeciliği Dergisi, 14(2): 171-191. Yurtseven, H. R., Erkul, H. ve Morkoç, D.K. (2013). Örneklerle Sosyal Bilimlerde Araştırma Yöntem ve Teknikleri, Ankara: Detay Yayıncılık. Zengin, B., Uyar, H. ve Erkol, G. (2014). “Gastronomi Turizmi Üzerine Kavramsal bir İnceleme”, 15. Ulusal Turizm Kongresi, 13-16 Kasım, Ankara.